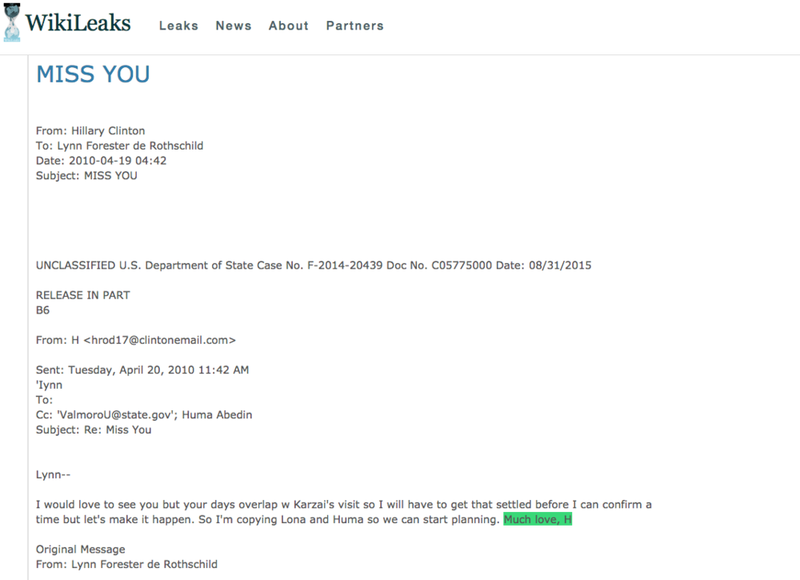 Small club at the top; Hillary is close personal friends with, and appears to answer to, one of the world's wealthiest women - matriarch of the Rothschild banking family. Hillary's State Dept viciously ended Gaddafi's regime, just as he was planning a bold Rothschild-free pan-African gold based currency for the African continent. She was close friends with the Rothschilds at the time.